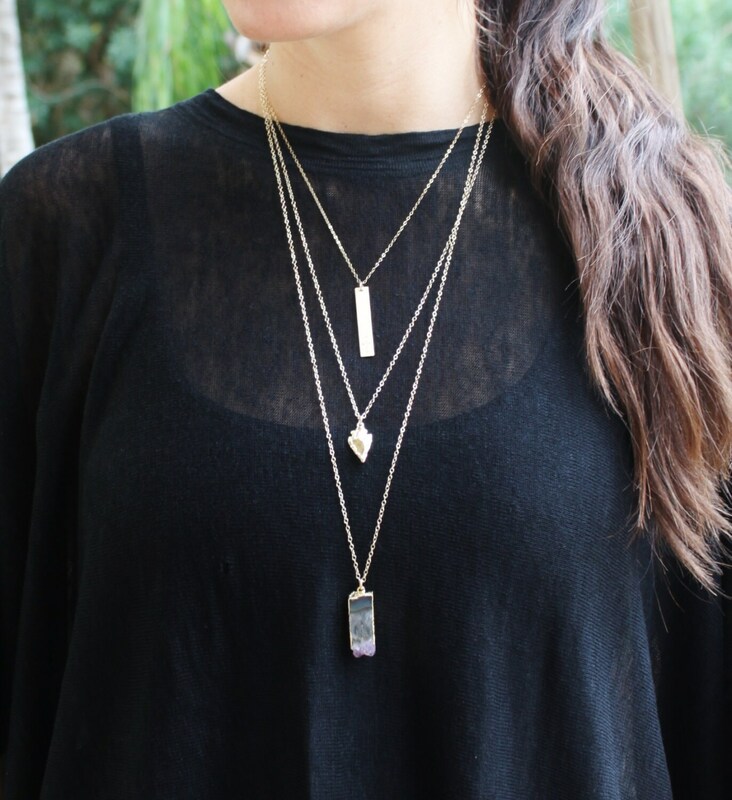 This long necklace features a gorgeous Raw Amethyst pendant on a 14kt gold filled necklace. Amethyst attracts positive energy and is know as a calming stone. 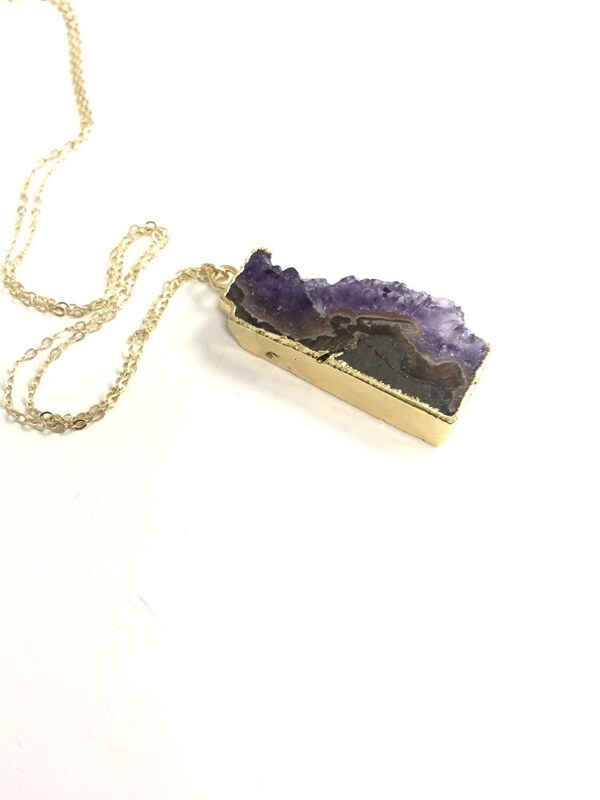 --Natural Amethyst Slice dipped in gold pendant. --Wear it layered with you favorite piece or alone. 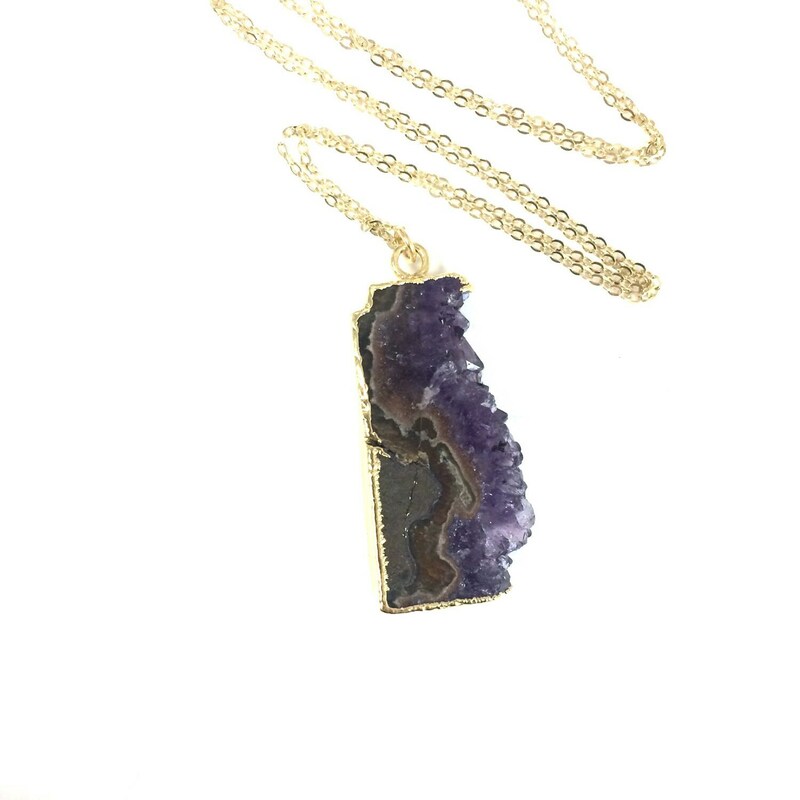 This listing is for one Amethyst Slice necklace only, to purchase the other necklace seen in photo 3 please visit my shop. 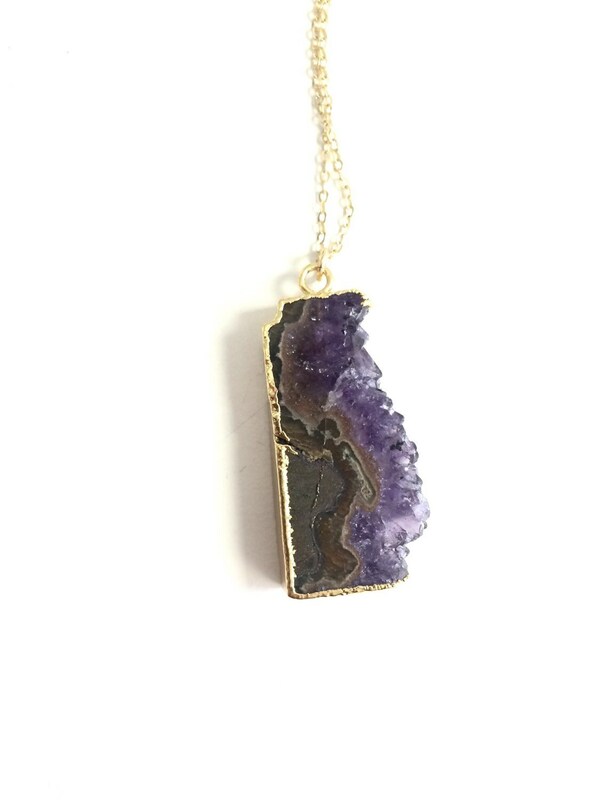 I've been wanting an amethyst necklace like this and this one is perfect! Love the raw and organic look. Materials are high quality and I think this is a piece I'll have for a long time. Amethyst is a little larger than I expected, but worked out as I love the size.